Posted on October 6, 2017 | Comments Off on Can Alzheimer’s Be Prevented? Presently, the number of Americans with Alzheimer’s disease (AD) tops five million. Unless an effective treatment is developed that number is expected to increase exponentially as the population ages. Increasing age is still the primary risk factor, and according to statistics, by the age of 82, the prevalence rises to 42 percent. Signs of late-onset AD often appear in a person’s mid-60’s, although researchers believe that damage to brain heath begins years earlier. AD is characterized by the accumulation of two types of protein in the brain, known as tangles, or tau, and amyloid-beta plaques. As well, there is also a loss of connections between brain nerve cells, known as neurons, that transmit messages within the brain, and from the brain to muscles and organs. With AD, once healthy neurons stop functioning, brains cells begin to die off, and eventually the brain shrinks in size. While tangles and plaques are closely associated with AD, family history, genetics, inflammation, and vascular disease, as well as environmental and lifestyle factors may contribute. As with other chronic debilitating diseases, lifestyle habits are seen to play a major role in both contribution and prevention. Are there healthy lifestyle habits you can adopt to stave off or ameliorate Alzheimer’s Disease? Although science has yet to discover the cause or cure for AD, the National Institutes of Health suggests that modifiable risk factors may help protect cognition and mental activity. Modifiable risk factors that appear to protect against AD are many and varied. These include mental activity to increase cognitive reserve, lifelong learning, physical activity, social engagement, wellness activities, healthy sleep, nutritious diet, omega-3 intake, mindfulness, optimism, and purpose in life. Risk factor prevention should target diabetes, insulin resistance, and metabolic syndrome; as well as high blood pressure, cholesterol levels, and coronary heart and renal disease. Additional factors include systemic inflammation, sleep-disordered breathing, traumatic brain injury, and alcohol or tobacco use. Sleep – Since many of us don’t prioritize sleep, most of us are just not getting enough of it. The perfect amount of sleep varies with age and by individual. However, seven to eight hours of sleep nightly appears to be sufficient to wake refreshed and energetic. Insufficient sleep is linked to chronic diseases and conditions, including diabetes, heart disease, obesity, depression and cognitive decline. A recent study by Washington University researchers showed an association between disrupted sleep and higher levels of two AD associated proteins. Researchers found that just one night of disturbed sleep led to a 10 percent increase in amyloid beta. A full week of insufficient sleep showed an increase in the tau protein. While no one can confirm that regular quality sleep reduces AD risks, it does appear that those who are chronically sleep deprived may have increased levels of proteins associated with AD. The good news is that the negative effects of an occasional night of restless sleep may be reversed with good sleep habits. Exercise – Convincing evidence shows that 30 minutes of moderately vigorous exercise three to four days each week may help prevent AD, or slow the progression in people who have symptoms. According to a recent UW-Madison study, those at a high genetic risk of AD who perform moderate-intensity activity, such as a brisk walk or run, are more likely to have healthy patterns of brain glucose metabolism. Dependent upon the type of exercise and its intensity, physical activity may lower AD risk by up to 65 percent by addressing underlying mechanisms, such as improved pulmonary function, increased cell survival and a proper inflammatory response. Diet – While the Mediterranean diet and the MIND diet are often recommended for overall good health, a low carb, high fat, no sugar, no starch ketogenic diet has been shown to be of benefit in neurodegenerative disorders. A ketogenic diet, along with consumption of ketone-producing medium chain triglycerides (MCT’s), fights brain insulin resistance (type 3 diabetes) by helping to control blood glucose, calming inflammation, and enhancing insulin sensitivity. The diet helps to maintain energy levels by fueling the brain with ketones, a more concentrated and efficient energy source. Diabetes – Those with diabetes and insulin resistance are at a higher risk of developing AD and other neurogenerative diseases. The relationship between diabetes and AD is so close that AD is now recognized as another form of diabetes referred to as type 3. Type 1 diabetes occurs when the pancreas fails to produce sufficient insulin to properly regulate blood glucose. In type 2 diabetes, the pancreas can produce a normal amount of insulin, but the cells have become resistant or unresponsive to its action, resulting in insulin resistance. In type 3 diabetes, the brain has insulin deficiency, as in type 1, plus insulin resistance, as in type 2. Dysregulation of insulin results in an increased risk for cognitive impairment. The good news is that diabetes type 2 can often be reversed with weight loss, regular exercise and a proper diet. Omega-3 fatty acids – Found in fish, algae, some plants, nut oils and supplements, omega-3’s play a crucial role in brain function, as well as normal growth and development. Highly concentrated in the brain, research shows that omega-3 fatty acids reduce inflammation and appear to be important for cognitive and behavioral function. Studies show an association between reduced intake of omega-3 fatty acids and an increased risk of age-related cognitive decline or dementia. Sleep Aide by Vital Nutrients: This synergistic formula provides well-studied botanicals and melatonin to provide a safe, natural way to calm the central nervous system and encourage restful, restorative sleep. Independently tested to be gluten, wheat, soy, egg, sugar, heavy metal, and pesticide free. M.C.T. Liquid by Douglas Laboratories®: This product supplies 100% structured lipids in a convenient liquid form. MCT oil aids in weight management and energy production. Gluten, wheat, soy, dairy and artificial ingredient free formula. Diabetter™ Advanced Glucose Support by Zahler: This product includes vitamins, minerals, and botanicals that work synergistically to help support and maintain healthy blood sugar levels. Kosher formulation. PGX® by Bioclinic Naturals: This clinically studied natural fiber complex supports healthy weight loss, reduces cravings, improves regularity, and helps to normalize blood sugar and improve insulin sensitivity. Gluten, wheat, and dairy free formulation. Easy Swallow Minis by Wiley’s Finest™ Wild Alaskan Fish Oil: These easy swallow minis provide a concentrated and balanced dose of EPA and DHA omega-3 essential fatty acids. Manufactured at a family-owned and operated c-GMP facility, and sourced from sustainable Alaskan pollock or pacific whiting. Sugar, gluten, starch, yeast, wheat, dairy, artificial ingredients, nuts, shellfish, soy and corn free. Comments Off on Can Alzheimer’s Be Prevented? 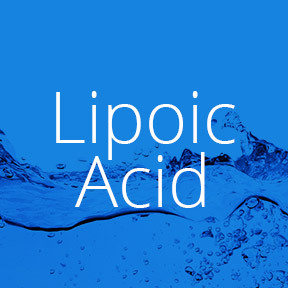 Lipoic acid (LA) is a naturally occurring antioxidant compound synthesized in small amounts by the body and otherwise obtained through diet and supplementation. Because LA is both water and fat soluble, it is readily absorbed into cells, tissues and organ systems, giving it a distinct advantage over other antioxidants. In its role as a potent and effective antioxidant, LA protects against free radicals, reduces oxidative stress and is believed to help regenerate other antioxidants, including reduced glutathione and vitamins C and E. Per the National Institutes of Health, LA has therapeutic potential beyond its value as a potent biological antioxidant. LA serves as a coenzyme that aids in the conversion of macronutrients into cellular energy, supports the mitigation and chelation of heavy metals, and is widely recognized in Europe, where it has been used for more than 50 years to relieve symptoms of diabetic polyneuropathy and retinopathy. In addition to its critical roles in mitochondrial energy metabolism, detoxification, and diabetes-related support, LA is utilized to improve age-associated cardiovascular, cognitive and neuromuscular deficits. Currently, trials are underway to determine whether LA may be an appropriate treatment for the prevention of vascular disease, hypertension, chronic inflammation and metabolic syndrome. Antioxidant activity – The ability to boost or recycle other antioxidants, particularly glutathione, enhances LA’s own antioxidant benefits. Often referred to as the master antioxidant, glutathione is critical to disease prevention, as well as cellular and immune health. Restoring glutathione blood levels helps to improve the functionality of immune cells, such as T cells and lymphocytes. Diabetes – High glucose levels associated with insulin resistance contribute to increased production of free radicals and higher levels of oxidative stress. This increased level of free radicals can impair insulin-stimulated glucose transport and the activation of insulin receptors. The significance of oxidative stress in diabetes complications including polyneuropathy is now recognized by the American Diabetes Association. LA is used extensively in Germany to potentially prevent peripheral neuropathy in those with diabetes and to provide relief from symptoms of pain, burning and numbness associated with the condition. Heavy metal chelation – Because LA has recognized metal chelating activity, it is believed to help protect the body from toxic environmental, industrial and dietary contaminants, including arsenic, cadmium, lead and mercury. By acting as a chelating agent and bonding to heavy metals, LA assists the body’s detoxification processes. Neuroprotection – As LA is readily absorbed and can cross cellular and blood brain barriers, it can reach all areas of the brain nerve cells, potentially preventing free radical damage to the neurological system. Its ability to regenerate the antioxidant glutathione helps to promote healthy nerve function. 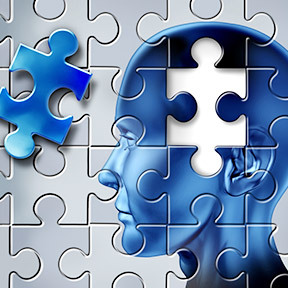 New data suggests that LA may help to guard against Alzheimer’s disease by helping to increase the production of acetylcholine, a neurotransmitter released by nerve cells that has been found to be deficient in patients with Alzheimer’s. Inflammation – Elevated levels of oxidative stress contribute to the chronic inflammation behind many age-related and degenerative diseases. LA has been studied for its antioxidant properties, and is well known inhibitor of proinflammatory signaling pathways. Eye Health – In addition to eating a nutrient dense diet to support eye and overall health, studies have shown that LA may help to control age-related eye disorders. By reducing the oxidative stress that can damage ocular nerves, LA may help to control symptoms of eye-related disorders, such as vision loss, macular degeneration, cataracts, retinal damage and glaucoma. Typically found in small amounts in animal and plant foods, dietary sources of LA include organ meats, spinach, broccoli and brewer’s yeast. Because dietary LA is bound to the amino acid lysine, which is bound to protein, it appears to have a minimal effect on the overall availability of the antioxidant in the body. A healthy body may synthesize adequate amounts of LA, however, those fighting illness, chronic disease, or the effects of advancing age, may benefit from supplementing with free form lipoic acid that is not bound to protein. For greater bioavailability, supplemental LA should be taken between meals. As always, consult your healthcare professional before taking any dietary supplements if you are pregnant, nursing, have a health condition or are taking medications. Alpha Lipoic Acid by Pure Encapsulations – One capsule provides 400 mg of alpha lipoic acid in support of free radical protection, healthy glucose metabolism, nerve health, and healthy vascular function. Gluten and soy free, Non-GMO vegetarian formulation. Alpha Lipoic Acid by Now Foods 30% OFF – This highly absorbable formulation provides 600 mg of alpha lipoic acid per capsule in support of proper glucose metabolism, cardiovascular function, and healthy neural tissues. Gluten, soy and dairy free, Non-GMO vegetarian formulation. Lipoic Acid 200 mg by Integrative Therapeutics – Each vegetarian capsule provides 200 mg of alpha lipoic acid to provide free radical damage protection and support reduced oxidative stress. Gluten, soy and dairy free vegetarian formula. Lipoic Acid Plus by Biotics Research – This product supplies 100 mg of alpha lipoic acid along with vitamin C in support of normal mitochondrial function, heavy metal chelation, and cardiovascular health. Gluten and dairy free formulation. 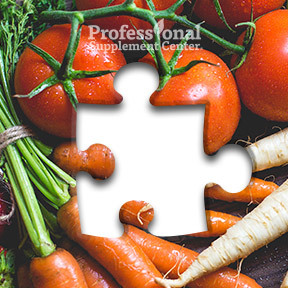 What Nutrients Are Missing in Your Diet? Posted on August 18, 2016 | Comments Off on What Nutrients Are Missing in Your Diet? If you are focused on losing body fat or increasing lean muscle mass, chances are you are concentrating on your caloric intake, as well as placing your focus on your macronutrient intake, the proteins, carbohydrates and dietary fats that are all a necessary part of a healthy diet. Or, perhaps you follow the standard American diet consisting of foods high in sugar, salt and unhealthy fats, leading to hunger and overconsumption of far too many empty calories, as the body strives to get the nutrients it needs for proper function. While one of these dietary approaches may be viewed as healthier than the other, chances are neither will consistently deliver sufficient micronutrients necessary for overall good health and bodily functions, leading to a dietary deficiency in vitamins and minerals or micronutrient malnutrition. While the general nutrition advice is to eat a “balanced” diet, many of us are not sure what that really means and so tend to make choices we like, not necessarily those that are best for heath. Dietary trends over time show Americans are not following healthy eating patterns and are deficient in the micronutrients necessary to maintain optimal health and prevent nutrient deficiency diseases. According to the American Dietetic Association, although deficiencies of essential nutrients have decreased over the last century, the rates of chronic diseases, many of which are related to poor quality diet and a sedentary lifestyle, have dramatically increased to the point where approximately 50% of American adults have one or more preventable diet-related chronic disease. Key dietary recommendations suggest following a healthy eating pattern that focuses on variety across all food groups, nutrient density and portion size. An eating pattern can be described as a combination of foods and beverages that constitute a person’s complete dietary intake over time. Nutrient density encompasses foods and beverages that provide vitamins, minerals, naturally occurring components such as fiber, and beneficial phytonutrients, all of which have positive effects on health. Variety refers to consuming a diverse assortment of foods and beverages from all food groups, without exceeding limits for calories and other components, such as added sugars and sodium. Obesity – For the past 25 years, more than half of the adult population has been overweight or obese, especially those aged 40 and older. Abdominal obesity prevalence now affects half of U.S adults of all ages. Nearly one in three youths aged 2 – 19 are overweight or obese. Cardiovascular disease – Three-fourths of those who are overweight and half of those who are normal weight have at least one cardiometabolic risk factor, including high blood pressure, abnormal blood lipids, diabetes or smoking. Diabetes – 2012 statistics showed that over 29 million adults have type 2 diabetes. Highly prevalent in the senior population, the rates of diabetes among young adults and children is steadily rising. Cancer – Breast cancer is the third leading cause of cancer death in the U.S., followed closely by colorectal cancer, the second leading cause. Bone disease – Bone disease is common in the U.S., especially among the elderly, which puts them at risk of fractures. According to the American Academy of Orthopaedic Surgeons, 10 million people currently have osteoporosis and another 18 million are at risk of developing the disease. By 2020, one in two Americans is expected to have or be at risk of developing osteoporosis of the hip. With the abundance of food available in the U.S., one might assume that Americans are well nourished and that nutrient deficiencies are no longer a health issue. Contrary to what the media may have you believe; deficiencies are very much present. The National Health and Nutrition Examination Survey (NHANES), a major program of the National Center for Health Statistics (NCHS), part of the Centers for Disease Control and Prevention (CDC), is responsible for producing vital health statistics for the U.S. This includes an assessment of the health and nutritional status of American citizens. A 2015 analysis showed that approximately 31% of adults had one nutrient deficiency, 6% had 2 nutrient deficiencies, and 2% had 3 or more deficiencies. They concluded that about 1 out of 3 Americans have at least one vitamin or mineral deficiency. Despite recent arguments that dietary supplement users are wasting their money, data shows that adults who take full-spectrum vitamin and mineral supplements have a significantly lower prevalence of deficiency as compared to non-users. In fact, non-users are 2.5 times more likely to have a deficiency compared to a full-spectrum multivitamin user. Data continues to show that individuals, even those who follow a whole food diet, who take a daily multi are more likely to fill any nutritional gaps and achieve micronutrient sufficiency. As far as your money goes, the cost of a multivitamin supplement is likely the least expensive health insurance you can buy! UltraNutrient® by Pure Encapsulations – This advanced formula provides exceptional broad spectrum, bioavailable nutritional support with a full spectrum of core vitamins and minerals, advanced antioxidants, standardized phytonutrient extracts and botanicals for enhanced antioxidant, cardiovascular, liver and overall wellness support. Gluten and soy free, Non-GMO vegetarian formulation. Ultra Preventive Teen by Douglas Laboratories – This unique, carefully designed supplement is formulated to meet the nutritional needs of teenagers. Vanilla flavored, easy-to-swallow tablets provide over 30 vitamins, minerals, trace elements and other nutrients in bioavailable form to support growth and development and good health maintenance. Gluten and soy free, vegetarian formulation. Multigenics® Chewable Orange – This comprehensive bioavailable formula provides a broad spectrum of essential vitamins along with highly absorbable mineral amino acid chelates. Suitable for children and adults who prefer a great tasting, chewable tablet. Gluten and soy free, Non-GMO formulation. 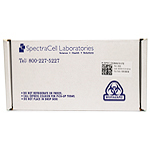 Comprehensive Nutritional Panel by Spectracell Laboratories – This micronutrient test kit offers an accurate, scientifically proven assessment of nutritional deficiencies, including 31 vitamins, minerals, amino acids, fatty acids, antioxidants and metabolites. This kit includes a complimentary post-test consultation with our Registered Nurse by phone or in person at our Sarasota location. Comments Off on What Nutrients Are Missing in Your Diet?